American musician and actress Kandi Burruss is best known for being a cast of the Bravo reality television series “The Real Housewives of Atlanta” since its second season premiere in 2009. She was previously a member of the music group, Xscape. She became the first African-American woman to win the American Society of Composers, Authors and Publishers’ Songwriter of the Year award in 2000. Kandi Burruss was born on 17 May 1976, in College Park, Georgia, United States. Kandi Burruss graduated from Tri-Cities High School, East Point, Georgia in 1994. Father – Rev. Titus Burruss Jr.
Kandi Burruss married Todd Tucker, a former line producer for The Real Housewives of Atlanta, on April 4, 2014. They had been dating since 2011. The couple welcomed their first son, Ace Wells Tucker on January 6, 2016. They also have three daughters, Kaela Tucker, and Riley Burruss. Prior, she was romantically linked with Russell “Block” Spencer, with whom she shares a daughter, Riley Burruss, born August 22, 2002. She also dated Ashley “A.J.” Jewell from 200 to 2009. Kandi Burruss had her debut onscreen appearance debut with the 2008 drama movie Make It Rain for her role as Roxanne. In 1993, Kandi made her television debut in the TV show, Soul Train. Burruss released her debut album titled ‘Hey Kandi’ on September 19, 2000, which peaked at #72 on the Billboard 200 and sold more than 260,000 copies in the United States. She has released two albums, five singles, and four music videos as of February 2018. For being a cast member of the Bravo reality television series The Real Housewives of Atlanta since 2009. She has been a part of several spin-off series of the reality show including The Kandi Factory, Kandi’s Wedding and Kandi’s Ski Trip. She appeared in the Bravo TV commercial. 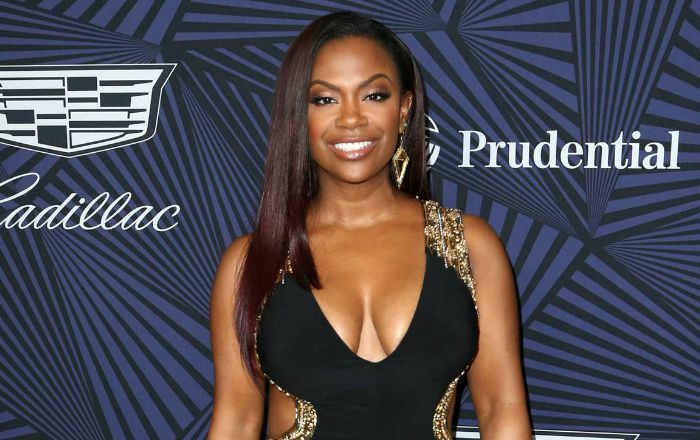 Kandi Burruss has a staggering net worth of $38 million US dollars as of 2018. Much of her income comes from her appearance in the reality show and album sales. At the age of 15, she appeared on the BET series, Teen Summit. As a member of Xscape, she gained a lot of fame and popularity through hit tracks and albums. The group’s debut album, Hummin’ Comin’ at ‘Cha, released on October 12, 1993, peaked at number seventeen the U.S. Billboard 200 and number three on the Top R&B Albums chart. It was later certified platinum. Following the success of their debut album, they released many albums and singles and most of the tracks peaked at top positions on the music charts. In 2000, Kandi became the first woman to win the ASCAP “Songwriter of the Year” and the “Living Legend” award. Kandi has worked with several popular faces of music like TLC, Destiny’s Child, Alicia Keys, Mariah Carey, and Whitney Houston, among others. Burruss has made cameo appearances on series such as Single Ladies, Thicker Than Water: The Tankards, Chef Roblé & Co., and Let’s Stay Together. In 2011, She launched Bedroom Kandi, an s*x toy company that manufactures the affordable range of s*x toy products. Burruss and four friends started an “s3x and relationship” web series on Ustream, Kandi Koated Nights in 2011. She owns a clothing store called Tags Boutique in Atlanta.